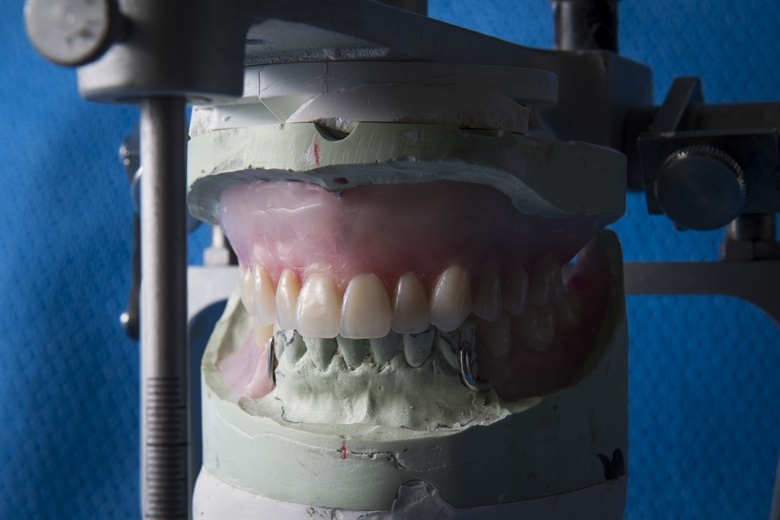 Full mouth rehabilitation is the practice of restoring or replacing all the teeth of the upper as well as lower jaws simultaneously. General or restorative dentists with the help of specialists do this depending on the case and severity of the need. Teeth that have been lost due to accidents, disease, or trauma. Teeth that have worn out because of age and dietary factors (consumption of acidic products and sugar). Pain in jaws, teeth, or even headache due to structural problems. Teeth: the most obvious part. The dentist will examine your teeth and look for fractures, cavities, or decay etc. This will determine what type of treatment is to be done (crowns, or bridges, or veneers etc). Gums: gums are the foundation for teeth. If you have some gum disease, you will be asked to visit a periodontist for scaling and root planing. Jaw muscles: one of the most important condition for dental health and hygiene is the structural strength and compatibility of upper and lower jaws. The dentist will look for overbites and occlusions and treat them first before planting new teeth. Aesthetics: after all the functional tests are done with, your dentist will consider the color, shape, size, and proportion of teeth. Full mouth restoration is not a cosmetic dental process (like a smile makeover), but is done only when necessary. Though it is somewhat a costly, it gives you a whole new set of teeth and a better jaw structure. Depending on the condition of teeth and jaws, it is a great restorative procedure to get rid of many dental problems.